You are one, my littlest boy. 12 months and a few days have passed since you came into our lives, on a very peaceful Monday morning. You have remained peaceful throughout (most of!) your life so far and you are honestly a delight to be with. You continue to develop at lightening speed, crawling way before your brother did and no doubt you will be walking before he did too. We bought your first shoes today and you promptly showed them off by walking holding my fingers for ages. Some of the best things you are capable of at the moment are kisses and cuddles – you’re so affectionate to everyone. The ladies at your nursery are as smitten with you as I am. The best person by far in your eyes is your big bro Elliot. Long may that continue. I can see you being best of friends forever. I love you my giggly cuddly little man. Nothing makes me happier than to see you smile. 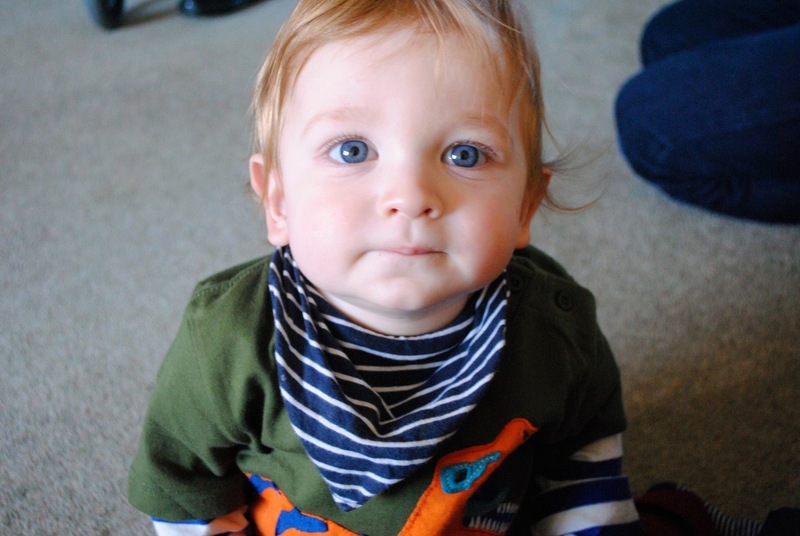 This entry was posted in Alexander and tagged alexander, birthday, one year old. Bookmark the permalink.